In the light of Bible truth, this theory cannot stand. May we take a moment and see what the Bible really says about the return of Christ? The following study is condensed and fast paced, and by no means covers every detail of these great events. Hopefully, at a later time we can look at the following subjects in more detail. Jesus Christ clearly stated that He would return after the tribulation. Now is there anything secret about this? He said the tribes of the earth would see Him and mourn, and He said there would be a great sound of a trumpet at His return. According to Jesus, there is nothing secret about His return. 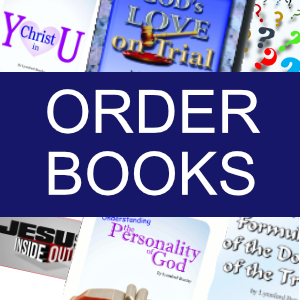 Did you know that there is no verse in the Bible that speaks of a seven-year tribulation? 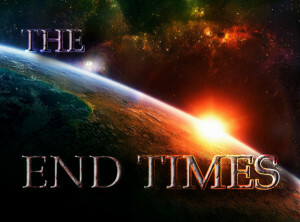 The principle text used to support this idea, Daniel 9:27, does not speak about the end times at all, but is a prophecy concerning Christ’s first coming, and was fulfilled long ago. There is nothing in the Bible about the antichrist being revealed during a seven-year tribulation period. Then where did this idea originate? A Roman Catholic Jesuit priest, by the name of Francisco Ribera, invented this doctrine in the sixteenth century in order to refute the teachings of Martin Luther and the other reformers. The reformers accurately taught that the papacy of Rome is the little horn of Daniel 7, the antichrist beast of Revelation 13, and the whore of Revelation 17. Most of the modern protestant churches have left the light that was shining so brightly during the reformation, and have adopted an unscriptural and unhistorical view of prophecy. As we have just seen, a “secret rapture” would completely contradict the clear teachings of our Lord Jesus Christ. Now let’s take a moment and see how Christ described His coming and the effect it will have upon the wicked. Revelation chapter 19 depicts, in graphic detail, the return of Christ, with Him calling for the birds of the air to “come and gather yourselves together unto the supper of the great God; That ye may eat the flesh of kings, and the flesh of captains, and the flesh of mighty men, and the flesh of horses, and of them that sit on them, and the flesh of all men, both free and bond, both small and great.… The remnant [those who remained] were slain with the sword of him that sat upon the horse, which sword proceeded out of his mouth: and all the fowls were filled with their flesh.” (Revelation 19:17, 18, 21) This description, connected with Luke 17:37, makes it clear that the ones taken are the wicked, who will be taken in death. At this time Satan will find himself in the abyss (translated “bottomless pit” in Revelation 20) that was once a beautiful lively planet. He is bound by a chain of circumstances; there is no one to tempt, no one to destroy and no soul to steal. The saved are in heaven with Christ. The lost are dead. He is alone with his demons, for a thousand years, to contemplate the destruction of the earth and the coming judgment. “When the thousand years are expired, Satan shall be loosed out of his prison.” (Revelation 20:7) How is Satan loosed? you might ask. The answer is found in the same chapter. “But the rest of the dead lived not again until the thousand years were finished.” (Revelation 20:5) With the return of Christ to the earth, the wicked dead are raised. Now Satan is loosed; he once again has people to deceive. The wicked are again subject to the one they served in their previous life. Satan gathers them (the resurrected wicked) “together to battle: the number of whom is as the sand of the sea. And they went up on the breadth of the earth and compassed the camp of the saints about, and the beloved city [New Jerusalem].” (Revelation 20:8, 9) As Satan and the wicked are gathered around the beloved city, with their hearts full of hatred, Jesus Christ, the Judge of the universe, appears sitting upon His throne. The knees of the wicked are unbuckled and they bow before the majesty of the Son. So we see the earth has gone from a green lively planet before the plagues are poured out, to an abyss during the millennium, and now to a lake of fire after the millennium. The wicked are rewarded with torments in the flames of hell fire until they are fully consumed and brought to ashes. Some will be destroyed almost instantly, others will suffer longer; all are rewarded according to their works. The end result of the eternal fire is the same as it was during the days of Sodom. Jude wrote, “And the angels which kept not their first estate, but left their own habitation, he hath reserved in everlasting chains under darkness unto the judgement of the great day. Even as Sodom and Gomorrah, and the cities about them in like manner, giving themselves over to fornication, and going after strange flesh, are set forth for an example, suffering the vengeance of eternal fire.” (Jude 1:6, 7) We see here that the cities of Sodom and Gomorrah suffered eternal fire, even though they are not still burning, but have long since been turned into ashes.